The Northern Territory Regional Research Advisory Committee (NT RRAC) is responsible for reviewing and approving research projects that address community concerns, issues and potential impacts as a result of onshore gas development in Northern Territory. 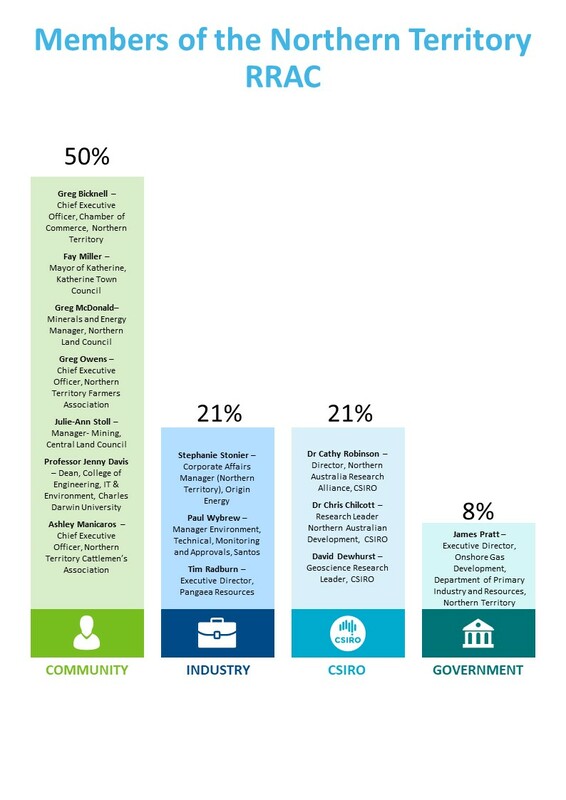 Members of the NT RRAC consist of 50% community, 21% industry, 21% CSIRO and 8% Government stakeholders. Dr Damian Barrett, GISERA Director (CSIRO), is the Chair and has no voting rights. Decisions of the RRAC is by simple majority and all decisions and discussion at RRAC meetings are recorded in the meeting minutes and available below.